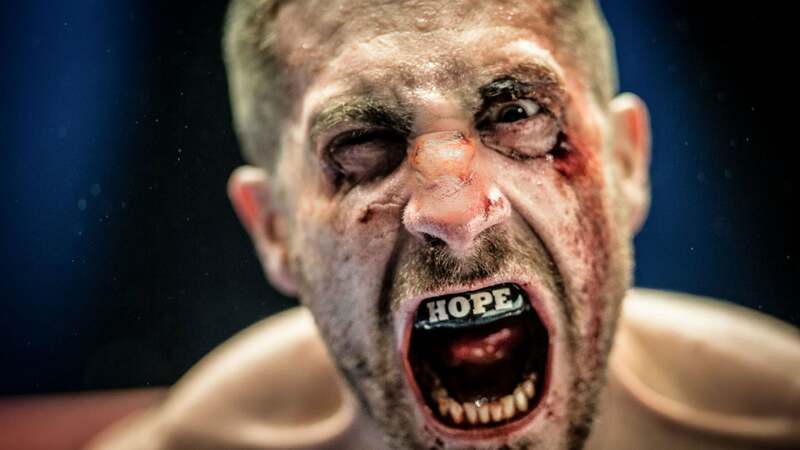 Billy Hope (played by Jake Gyllenhaal) is the undisputed light-heavyweight boxing champion of the world. He is unbeaten over a career of 43 fights. He is happily married to beautiful Maureen (Rachel McAdams) and has a young daughter, Leila (Oona Laurence). His life seems perfect, but then, during a fracas with a rival boxer, his wife is shot and killed. They had known each other since they were 12 years old, and now the bottom has fallen out of his world. The death of his wife sends Billy into a downward spiral, resulting in him being barred from professional boxing for a year, the loss of his house and almost all his possessions and, most painfully, the loss of his daughter to the custody of Social Services. In order to gain back his daughter and restart his life, he seeks out a particular trainer, Tick Wills (Forest Whitaker). Now he is starting his life again, at the bottom.